A blog post requires a lot of time and effort. But, it is essential to make sure the readers understand what you are trying to communicate. Readability of a blog is important as we want as many people as possible to read our websites. A simple and engaging language will make the readers want to keep reading your blog without getting bored. There are some formulae to detect readability of a blog. If you run your own blog or are a blogger, it is advisable you use one of them to determine your readability. This will also help you find out areas for improvement. Once you have determined your readability and you find out it needs work, you can use one or more of the many useful tools available to quickly improve your content. The first step is to type your topic in the Buzzsumo search engine bar. The results that pop up are different data that also gives an insight into the content marketing strategy you must follow. You can use the results to understand which content is more popular on any website. Make use of this to develop your content to make it more effective. Buzzsumo also helps analyze what topics perform the best for your competitor. For example, in the below screenshot, I checked the results for the work “readability” where it shows the social signals for the different results. With the help of this tool, you can give your audience the information that they are seeking and also make use of content strategy. You can analyze your competitors and find out their strengths and weaknesses. Buzzsumo is more expensive compared to other content discovery tools. If you are on a tight budget, this may not be the right tool for you. Use the “Direct Input” feature if you are testing text. Enter your text in the box that appears. Then click on “calculate readability” which will further lead you to a page which gives readability indices and text statistics. For instance, I checked the readability of the above two sentences in the tools, and it gave me a grade level of 9. This tool gives the scores for each of the formulae used to test readability along with text statistics. 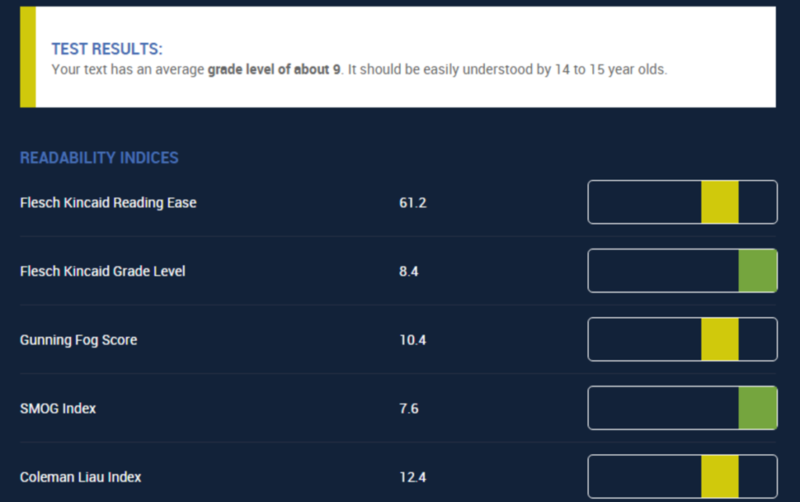 Analyzing the readability indices will help you check your scores. For example, Flesch-Kincaid Reading Ease score ranges between 0-100. Higher the value, greater readability of your blog. 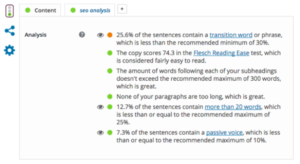 Unfortunately, this tool can only analyze readability of the words and not check the complexity of sentences. It is simple and easy to use. Input some keywords that you want to write about in the fields provided and the tool will generate a list of suitable blog titles. In this case, I tried to look for alternate titles for this blog post and got the following results. 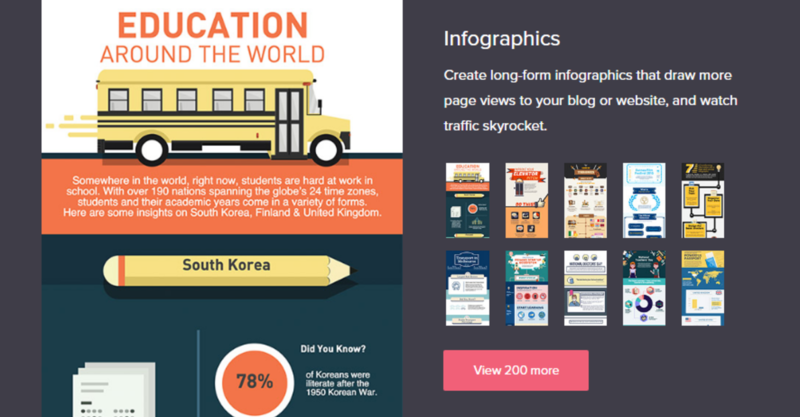 This tool can generate catchy titles which will enhance the traffic to your blog. Sometimes, we are not able to put our finger on what the best topic would be. The tool is a quick rescue at such times. As can be seen from the screenshot above, you can get only basic ideas from this tool. Not all titles would be relevant. If you want to get creative, the human mind works better than any tool. So you will need to tweak the suggestions to come up with your own unique topic. While machines can make our work easier, and sometimes deliver better quality output, but nothing beats a professional writer working on your content using his years of experience in writing. A writer’s mind is more artistic, creative and has the knack to come up with original ideas. A good writer is also able to adapt his style of writing based on the target audience. Catch hold of a reliable and experienced writer who has expertise in writing the kind of content you are looking for. Send over your content to them, and ask them to help with editing, proofreading and improving the overall readability. The below screenshot shows how a writing company cuts out middlemen and puts you in direct contact with the writer giving you full control of your content. You would be talking to another human here, and not dealing with a tool. You can share your ideas and tell them what you expect. Feel free to ask for guidance on areas for improvement and they can help you get better at writing. Professional writers never work for free. You might get a free tool to check your readability, but if you need the opinion or the service of an expert, you will need to pay his fees. You can sign in with Google and easily start working on it as it is a simple tool to use. They also have a demo video which gives a tutorial on how you can use this tool. The tool also offers a large number of templates you can quickly choose from and customize once you sign up with them. It is data friendly and you can import data from SurveyMonkey, Google sheets, and Microsoft Excel. You can edit texts, fonts, colors and more. This is a simple tool to use. You just have to copy your text to the text editor and click on edit. For example, I tested a few lines from above and found readability good with grade 7. The tools also tells you how many adverbs you should use and checks if you are using passive voice. You can then take a call if you would like to implement those suggestions. In this case, was suggested to use replace the word “indicates” with a shorter word, but I chose to stick to my original word keeping in mind the readers of this blog. The most useful feature of Hemingway is the suggestions to improve your content. Any newbie can comfortably use this tool to understand where they are going wrong and make the necessary changes. There is no support for images. Moreover, this tool does not have an exporter which makes it difficult to export the content after editing. A favorite amongst WordPress users, this tool helps you have your content search engine optimized which helps increase page traffic. There are many such SEO tools in digital marketing, but Yoast SEO is known to produce good results. They have free and paid version. Once you install and setup the plugin, you get access to their numerous features that tell you right from optimizing your meta tags to using social media to promote your brand. 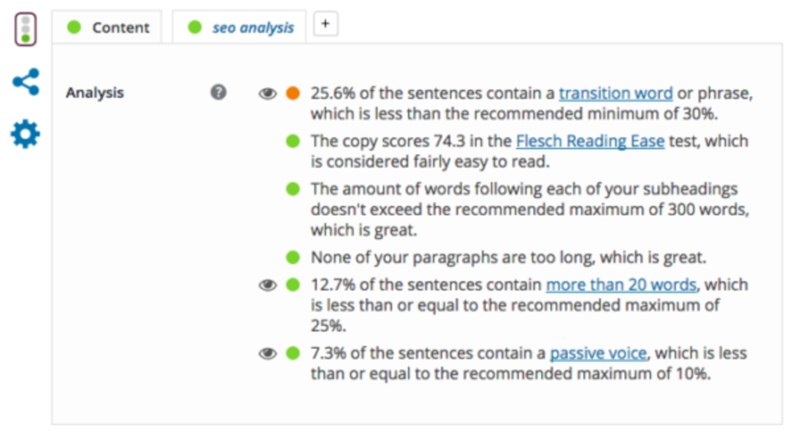 Yoast analysis your content from the SEO point of view and gives recommendations. A highly comprehensive plugin, Yoast takes care of all your SEO needs if you learn how to use it properly. It is ranked the best plugin presently and offers multiple features. You need to invest a lot of time to learn and understand how to use this plugin optimally. A large number of features can get overwhelming if you are new to technology. Going through informative tutorials can help overcome this hindrance and increase your comfort with Yoast. These are some of the most popularly used tools in WordPress currently. Though there are a few disadvantages in these tools, these tools ensure that the blogs that you post have high quality and readability. People who blog regularly use these features primarily to enhance their webpage traffic and grow their business. So take your pick on what tool suits you the best, or feel free to use multiple tools to make sure your content is always top notch. The aim is to not just have readers find you, but also stay on your page and come back for more because they found your content engaging, easy and unique.